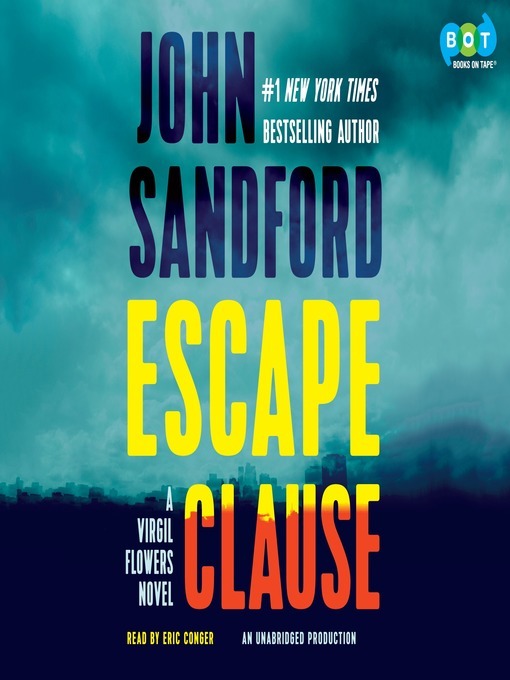 The item Escape clause : a Virgil Flowers novel, John Sandford., (eaudio) represents a specific, individual, material embodiment of a distinct intellectual or artistic creation found in Charlotte Mecklenburg Library. 1 online resource (1 sound file (9 hr., 55 min., 50 sec. )).